Daughter of a yogini, Yoga has been in Gandha’s life since the very beginning. Both her parents travelled around India and Nepal before she was born (which is why, despite being Italian, she has not one, but three Indian names!). After practicing Yoga regularly for a number of years, wanting to deepen her knowledge and understanding of the discipline, she enrolled into Yoga teacher training. Originally, this was to help her develop her own practice and be her own teacher. Now she feels very lucky to be able to share her knowledge and experience with students during class. A true servant of her art, Gandha spends the majority of her free time practicing yoga, reading and studying it and coming up with new flows and ways to challenge the body and quiet the mind. She sees this is an essential part of her job, as to be able to teach, you must first understand the poses in your own body. 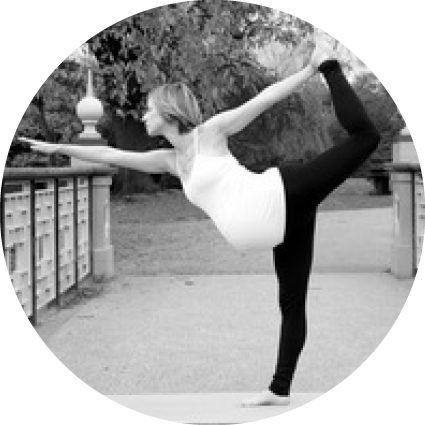 In her teaching, Gandha pays particular attention to posture and alignment. She loves creative flows that often include arm balances and core strengthening poses. Aside from the physical side, she sees yoga as a tool to get in touch with the inner teacher that resides in each and everyone of us, and to learn to listen to the body, while quieting the mind. "My Yoga mat, a bolster cushion and a strap for yummie stretches"
"A white cat named Jack - he is in Italy with my mum though"
"Crisps, Fries, Pizza, Tonnes of olives of all kind...."
"Probably hidden so well that I can't think of one right now!"